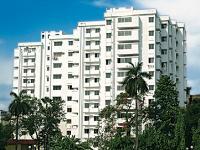 Looking for a property in Chowringhee? Have a property in Chowringhee? Have a good knowledge of Chowringhee? Share it and become a Locality expert. Also known as: Chowranghee, Chowrangee. Diamond Chambers is one of the popular Commercial Developments in Chowranghee neighborhood of Kolkata. It is among the Completed Projects of Diamond Group.